Winter is almost here and so now is the right time to think about how you can winterise your pool for the colder months. A common question pool owners have about preparing their pool for winter is whether they should keep it covered with their solar blanket. Here we will look at the whether you should leave your solar blanket on or off in the coming winter months. 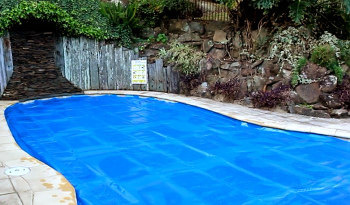 Covering your pool with with a solar blanket is one of the best ways to prevent heat loss. A solar blanket can reduce the heating cost of your pool by as much as 70%. 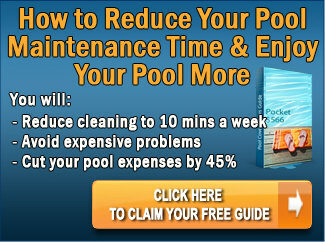 But as we discussed in this article, taking care of your pool cover is important if you want to prolong its life. So can you leave the solar blanket on the pool over winter? The answer is yes. As you will see below there are a number of reasons why you should cover your pool during winter with your solar blanket. Leaving your solar blanket on the pool over winter will allow you keep leaves and other organic material out of the pool. Which means less cleaning for you and also less food for algae or other bugs. The other benefit of keeping the blanket in place is it will help to minimize chemical evaporation. 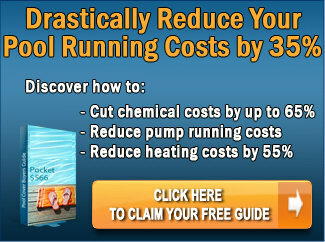 You’ll spend less money on pool chemicals and less time adding them. With winter on its way, and the pool being used less frequently, now is the ideal time to give your solar blanket a thorough clean. The best way to do this is using a mild dish washing soap. Follow these simple steps to ensure that your solar blanket is properly cleaned. Step One: First wet the blanket then mix a bucket with a weak solution of dish washing soap. Step Two: Use your pool pole and your pool brush to thoroughly scrub the blanket. Step Three: Once you have finished scrubbing use a hose to remove the dirty water. If you place your blanket on a sloped section of your lawn you will find it is easier to rinse. 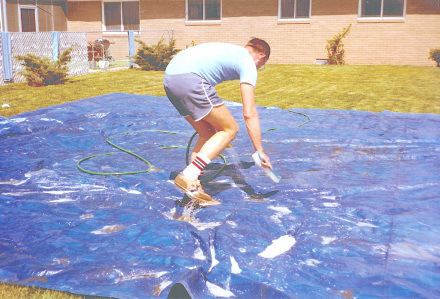 Tip – When cleaning the solar blanket make sure that you don’t leave it out on the lawn. It can heat your lawn just as quickly as your pool. A solar blanket can burn your lawn in less than one hour if left in place. Not only that, but a pool cover can be damaged by the sun if it’s left out of water. If you do decide to remove your solar blanket for winter make sure that it is stored properly. Most solar blankets come with a large bag that you can use for storage. Once the blanket is cleaned, you’ll need to dry it as much as you can, then you can fold it up. If you do store your solar blanket in its bag make sure not to store any other items on top of it. This can lead to splits and cracks. The best approach for storing your solar blanket however, is to use its reel. Solar blankets are designed to be rolled rather than folded. Use a PVC pool cover cover to ensure that the blanket is properly protected from sun, rain and debris. Keeping your solar blanket in place is the best way to ensure that your pool remains properly protected during the winter months; assuring you of no nasty green surprises come summer. We would love to hear about your experiences with Should I Leave my Pool Cover On or Off in Winter. Please leave your comments below and share the article with anyone you think may be interested. – cooling and avoidance of chemical concentration. On warm winter days if stored on the roller without being washed on both sides there is a risk that chlorine and other chemicals getting more concentrated and then destroys the plastic.